James had enjoyed an established and successful career with Lloyds TSB and Countrywide before moving to Vision, winning many awards and accolades along the way. 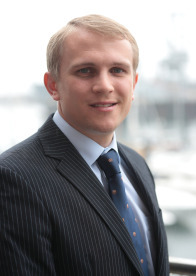 James works in a relaxed and friendly manner to help realise his client’s future plans and financial needs. Having set up an office in the heart of Truro, James feels that it gives him peace of mind knowing that whether the advice is for mortgages or protection, the recommendations are from the best the whole of market has to offer. He can be contacted on 07851 874844 or 01872 810711.